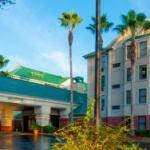 The Hampton Inn & Suites Tampa-North is an award winning hotel spotted in a quiet and natural setting by the natural preserve business district. Local area attractions, great for family excursions include Hard Rock Casino if you want to do some gambling, Busch Gardens a great way to spend a day with little ones, Adventure Island Water Park, Lowry Park Zoo, Ybor City, Florida State Grounds, Ford amphitheater and the Florida aquarium. A few miles away there are many restaurants to satisfy every taste. The hotel features 127 rooms with an outdoor pool, mini business center which business travelers will like, and a suite shop. 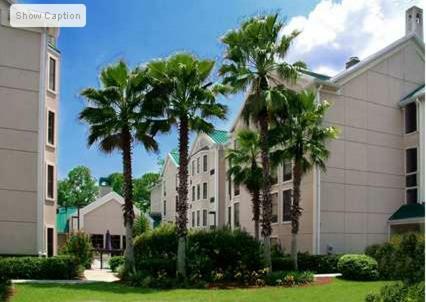 All rooms come with a high speed Internet, coffee maker, iron and board and to kick back an in room movie channel. Have a great sleep on the the king or queen size beds. Ask for the non smoking rooms if not a smoker. Kids will be deligthed with the in-room movies and you´ll be glad that they are free. Enjoy the hot and delicious complimentary breakfast served every day, as well as the On the Run breakfast bags. Wireless Internet access can be tapped in the lobby. Coffee and tea are offered all day free at the lobby. Coined laundry machines are available to guests, as well as laundry and valet services. There is an on site convenience store which has several choices. You can keep your valuables in the safety deposit box. Business guests, Audio/Visual equipment can be rented and used in one of the several meeting rooms. The hotel has a mini business center with photo copying, faxing and printing services. 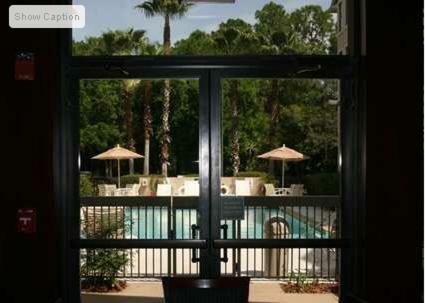 It also houses a fitness room open all day and an outdoor pool to plunge into.